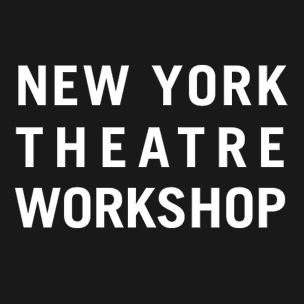 New York Theatre Workshop has announced a new CheapTix program, which will make all single tickets to the first two performances of every NYTW production available to the general public at $25. The program will kick off with Fondly, Collette Richland, the first production of the New York Theatre Workshop 2015/16 Season. Fondly, Collette Richland begins previews on Friday, September 11, 2015 and officially opens on Monday, September 28, 2015 at New York Theatre Workshop (79 E. 4th Street New York, NY 10003) for a limited engagement through Sunday, October 18, 2015. Tickets for Fondly, Collette Richland are now on sale at www.nytw.org. With theater ticket prices rising to the point of excluding many in our community from experiencing the power of inventive theatrical productions, NYTW is committed to ensuring access for as many in our community as possible. At the first two performances of every NYTW production, all single tickets will be available to the general public for just $25. Tickets are available on a first-come, first-served basis, online at NYTW.org or by phone from the NYTW Box Office at 212-460-5475 (Monday–Friday Noon–6pm). Standard ticketing fees apply. Additionally, a $25 day-of rush ticket will be available for young people, seniors, artists and Lower East Side residents. Rush tickets are subject to availability and are sold cash-only at the box office, limit two per person. Proper identification is required for all rush tickets. Young people (ages 25 and under) and seniors (ages 65+) may present an ID indicating date-of-birth; Artists may present an ID and a program or union card; Lower East Side residents may present an ID that includes your address. Single tickets for Fondly, Collette Richland are now on sale and can be purchased by visiting www.nytw.org or by calling 212-460-5475 (Monday–Friday, noon-6pm). In addition, a variety of membership packages are on sale now, and are also available at www.nytw.org orby calling 212-460-5475 (Monday–Friday, noon-6pm). As previously announced, New York Theatre Workshop’s 2015/16 season will also include the world premiere of Lazarus, by David Bowie and Enda Walsh (Once, Tony Award) inspired by the novel The Man Who Fell to Earth by Walter Tevis, and directed by Ivo van Hove (Hedda Gabler, More Stately Mansions, Obie Awards); the New York premiere of Red Speedo written by Lucas Hnath (The Christians) and directed by Lileana Blain-Cruz (Hollow Roots); and Hadestown by celebrated singer-songwriter Anaïs Mitchell and inventive two-time OBIE award-winning director Rachel Chavkin (Three Pianos, Natasha, Pierre & the Great Comet of 1812).